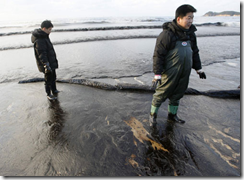 Yet another oil spill at South Korea that has got devastating effect on marine life owing to marine pollution. Read on to know more about this oil spill. 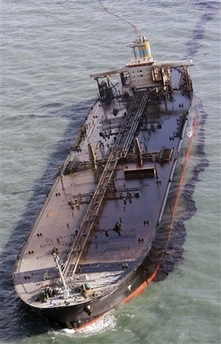 A crane mounted on a barge owned by South Korea’s Samsung Corp., collided with Hong Kong registered 146,000-ton tanker, Hebei Spirit carrying about 260,000 tons of crude oil. 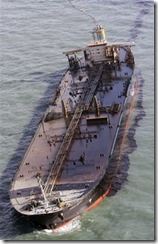 The collision caused three gashes in the tanker’s hull. Hebei Spirit was in anchorage when she was hit by the industrial barge, which had broken free from its towing lines. 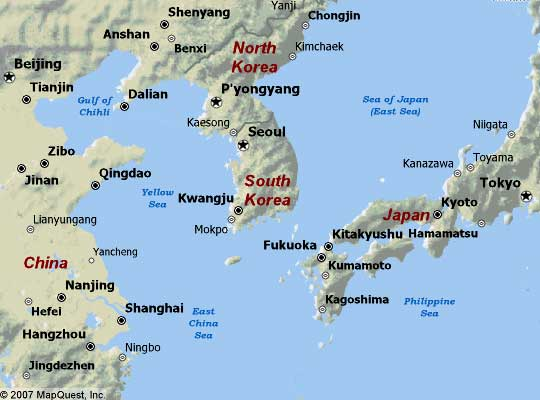 The incident occurred in the morning about five nautical miles off the coast near Taean, 90 miles southwest of Seoul. More than 30 coast guard vessels and four helicopters were deployed to prevent the slick from spreading. 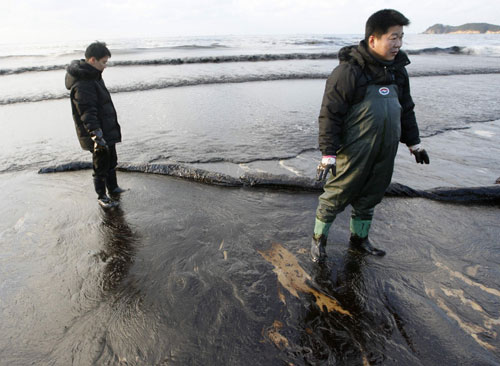 The oil spill of 2.7 million gallons posed a threat to a stretch of scenic coastline 100 km ( 62 miles) south of the capital, Seoul. 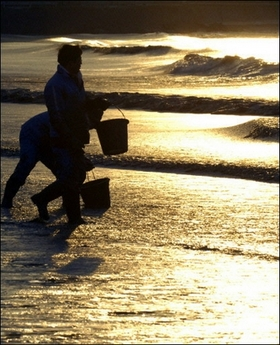 South Korea’s previously largest spill happened in 1995, when 5,000 tonnes of oil washed onto the country’s southern coast. 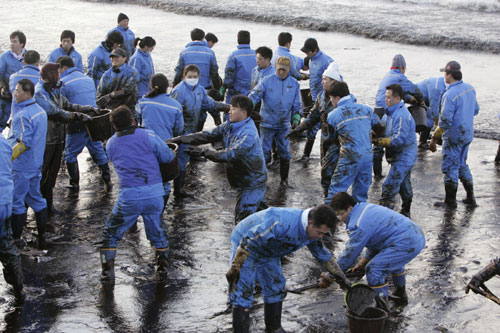 Large number of troops, police and residents used buckets to remove dense crude oil from one of South Korea’s best known beaches Mallipo, as tides of crude oil mixed sea water crashed ashore. 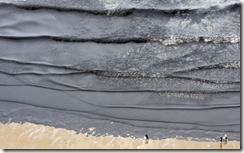 The odour of oil slick could be smelt a kilometre (half a mile) away. 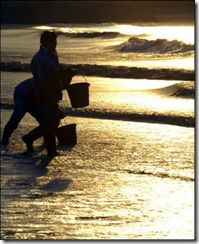 The region is known for its scenic beaches and is surrounded by fish farms, a national maritime park and is an important habitat for migrating birds. 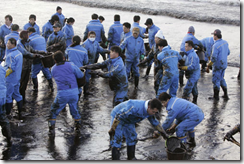 Mallipo, about 150 kilometers (95 miles) southwest of Seoul, is one of the hardest-hit areas from the oil spill. 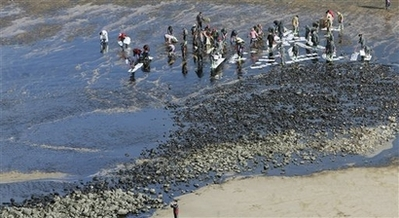 The South Korean government has declared a “state of disaster” along a stretch of coastline affected by the country’s worst-ever oil spill. 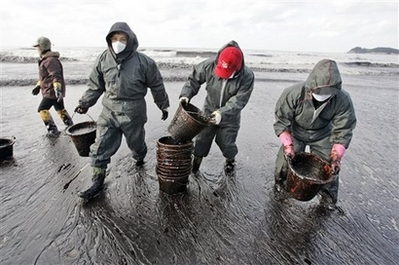 A fleet of 100 ships has been fighting to contain the 10,000-ton spill, but emergency workers have been unable to prevent the oil washing ashore. 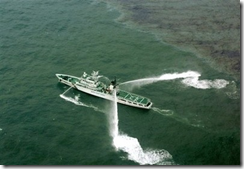 coast guard, navy and fishing vessels, accompanied by six helicopters, have been trying to prevent the slick from spreading using a boom and chemical dispersants. Over 6,000 people, including government workers, local residents and volunteers, are participating in the operation. Total five crew members ie two from Hebei Spirit, three crew of the crane barge and the two tugs towing it are facing the maximum imprisonment of three years. Both the shipping companies Samsung Heavy Industries Co. Ltd., and Hebei Ocean Shipping Co. Ltd., the owner of Hebei Spirit face maximum allowable fine of $30,000 each. Read more from sustainableshipping. The master and chief officer of the Hebei Spirit were cleared of wrongdoing. Also HOSCO, owners of the Hebei Spirit, were acquitted of all criminal charges. 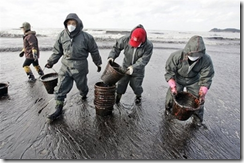 The estimated cost of the damage caused by South Korea’s worst oil spill currently stands at some $554 million (573.5 billion won). Read more from Portworld. Round Table of international shipping associations (BIMCO, International Chamber of Shipping (ICS), International Shipping Federation (ISF), INTERCARGO and INTERTANKO), the International Transport Workers’ Federation (ITF), the International Group of P&I Clubs (IG), and the Hong Kong Shipowners’ Association protest continuing unfair and unjust detention of officers of Hebei Spirit. Read more from BIMCO. Regarding unjust detention of the Master and Chief Officer of Hebei Spirit, the Korean Government says that both the officers were treated as per IMO Guidelines, without any physical detention. Also the Korean judicial authorities anticipate that departure ban for both the officers may have to be extended up to November 2008. Read more from BIMCO. 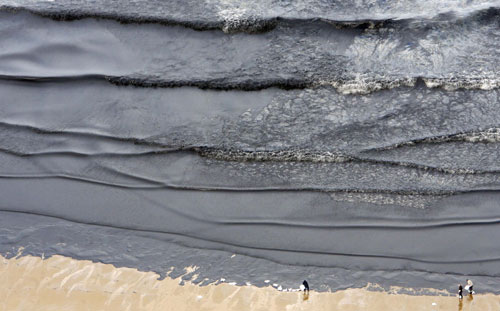 The size of oil spill from Hebei Spirit in December last year and the resulting clean-up costs could have been significantly less. 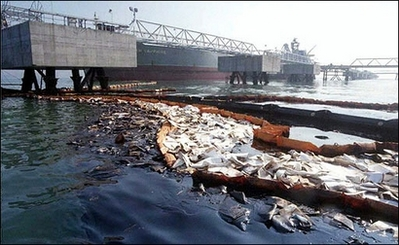 This did not happen because permission to start ship-to-ship transfer of fuel from the damaged Hebei Spirit was given only after three days of the accident. Read more from Sustainable Shipping. Indian seafarers are stepping up their efforts to persuade the Government of the Republic of Korea to allow the Captain and Chief Officer of the Hebei Spirit to return home. 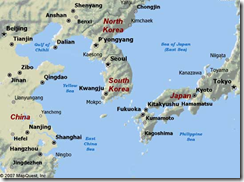 Firstly a call to boycott South Korean companies and their products. Secondly a special Justice for Hebei Spirit blog has been launched. A verdict from the High Court in Seoul is expected on December 10, 2008. Read more from BIMCO. INTERTANKO has sent an open letter to President of the Republic of Korea on December 08, seeking justice in Hebei Spirit case. Read more from INTERTANKO. Here comes the tragic news. Captain Jaspreet Chawla of Hebei Spirit was sentenced to one year in prison and fined USD 14,000, while chief officer Shyam Chetan was sentenced to eight months in prison and fined USD 7000. Read more from The Times of India. In sorting out who is at fault in the nation’s worst oil spill, the Supreme Court in Seoul has overturned a lower court’s decision that found the captains of both vessels involved guilty. Read more from The Chosun Ilbo. Captain Jaspreet Chawla and Chief Officer Shyam Chetan of Hebei Spirit, sentenced with jail term for one year in South Korea, were on June 11 acquitted by the Supreme Court in Seoul and are expected to return to India soon. Read more from Express India.